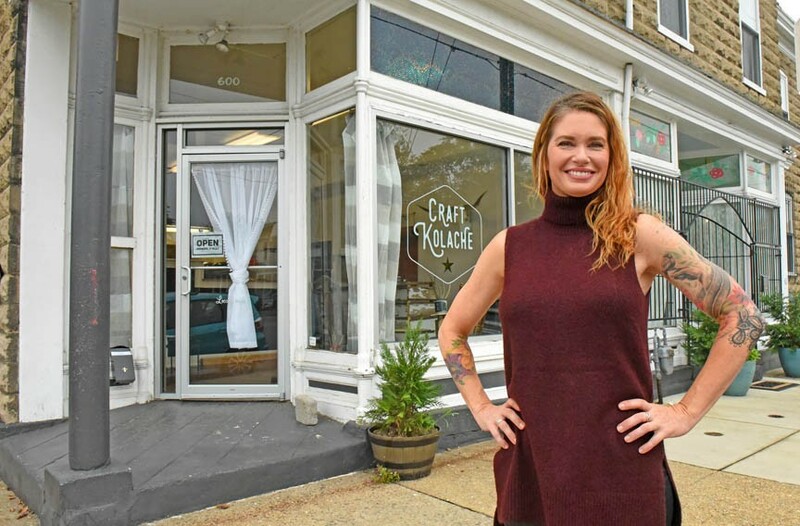 Hidden Treasures: 8 Richmond Neighborhood Places Serving Something Extra Special | Food and Drink | Style Weekly - Richmond, VA local news, arts, and events. 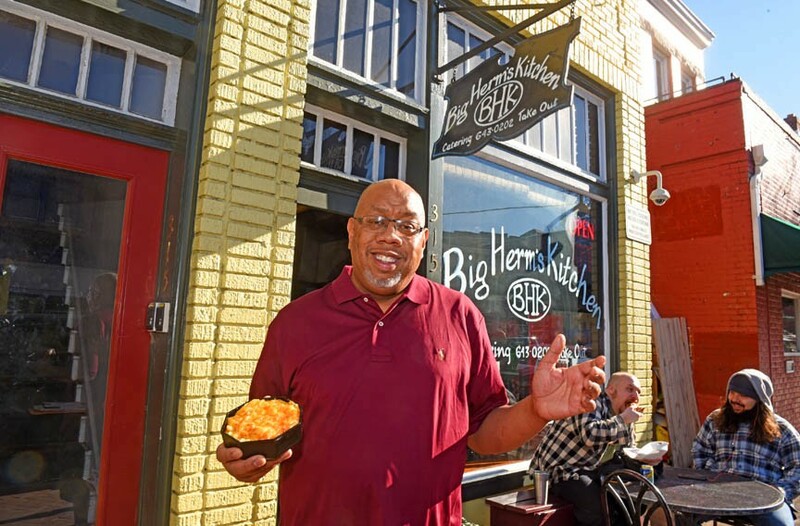 Herman Baskerville, owner of Big Herm’s Kitchen in Jackson Ward, lures mac ’n’ cheese aficionados with his tempting version of the classic dish. Think you don’t like your mac ’n’ cheese baked? You may reconsider after forking up a mouthful of Big Herm’s sumptuous version. A crust of bread crumbs and plenty of pepper to cut the creamy richness and lend Southern charm to a dish that fans of this family classic would do themselves a favor to check out. There’s limited availability, because Citizen serves dinner only Thursdays through Saturdays. But there’s more to what makes the spicy sautéed shrimp in smoky barbecue butter worth knowing about. It’s how the rich notes of smoke-infused butter almost create music in your mouth. 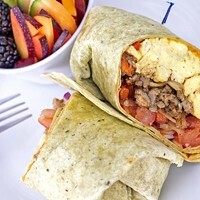 Layers of flavor play off each other in a way that’ll have you sopping up every last drop with bread. It may just be the finest way to spend a fiver: tasso ham thinly sliced right before your eyes and then mounded and tucked into a house-made biscuit slathered with honey and hot sauce. But arrive too late and chances are the last ham biscuit will already have left the shelves of this grocer and butchery. Forewarned is forearmed. Beginning with mouth-coating silkiness, it’s the heady whiskey brewed at Reservoir Distillery mere blocks away in Scott’s Addition that defines a gelato called Whiskey Me Away. It starts as an indulgence and finishes like a fine sipping drink. Connoisseurs will want to follow their gelato with a tasting of the source material. After all, it’s in the neighborhood. 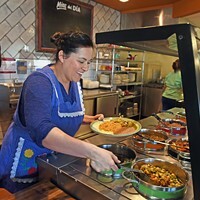 In her first foray into the food industry, Texas native Heather Horak brings her favorite childhood food, kolaches, to a town that never knew what it was missing. Hailing from the Czech Republic by way of Texas before landing in Richmond, kolaches deliver a snack inside a ball of dough. Imagine a puffy Hot Pocket without the processed taste. 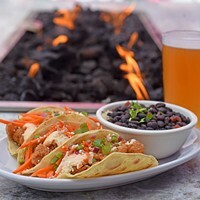 Such flavors as the spicy piggy deservedly stay on the menu, but if you see the street-corn variety on the specials board, you’d be a fool to miss the killer combination of black beans, corn, jalapeños, spices, queso fresco and cream cheese oozing out of warm dough. The bakery and coffee shop’s brown butter apple hand pie is even better than a traditional slice of apple pie, not only because it’s portable, but also because layers of buttery phyllo dough around cinnamon-spiced apples convey a homey sense of Mom’s apple pie elevated to the level of fine French pastry. Stick one of these in your pie hole, and you’ll discover what finger-licking good tastes like. It’s a buffet of dishes you may never have heard of — such things as feijoada, the cassoulet of Brazil, coxinhes, croquettes of meat and cheese or mandioca frita, fried yucca. The patient staff is ready with explanations for wide-eyed newcomers. And to truly splurge, you can add the rodezio and sample an all-you-can-eat array of sizzling, skewered meat. Get to know your vegetarian side with the grilled portobello sandwich composed of towering stacks of meaty mushrooms and red onions bathed in balsamic vinegar, topped with sharp gorgonzola and just-crisp slices of asparagus to bring out the green. Plant Zero jacks up the flavor with a dollop of pesto aioli and crams it all in between two halves of a ciabatta roll. There’s lunch — today and every day.